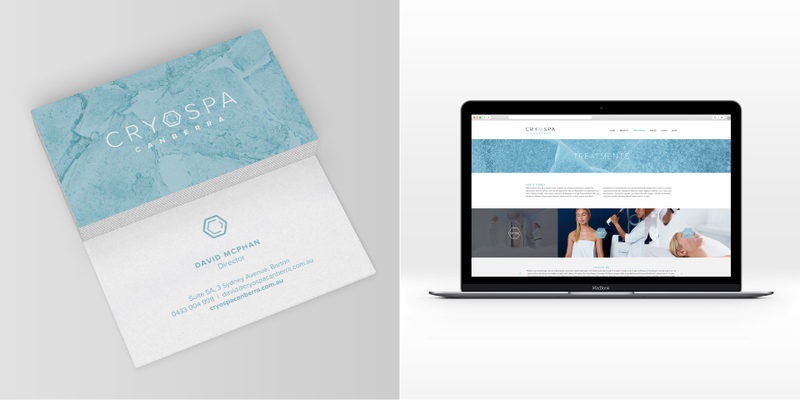 In this project we developed a new brand identity for CRYOSPA Canberra, the first whole-body Cryotherapy Sauna in the region. 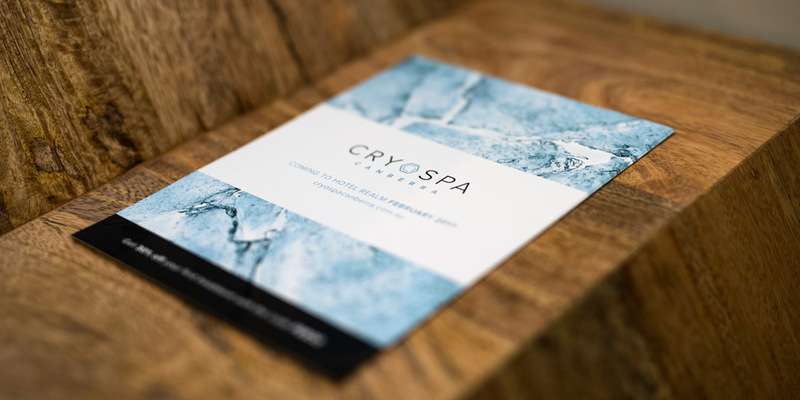 CRYOSPA Canberra has three distinct markets, beauty, sport and wellness, and it was imperative the brand would resonate with all three markets, which posed quite a challenge. To help the brand appeal to the high end clientele the logo design is clean, modern and slightly feminine, taking inspiration from high end spa and beauty branding rather than a typical sports or physio brand identity. The pale blue, pentagonal shaped ‘O’ reinforces the idea of ice and also creates a standalone logomark for the brand. 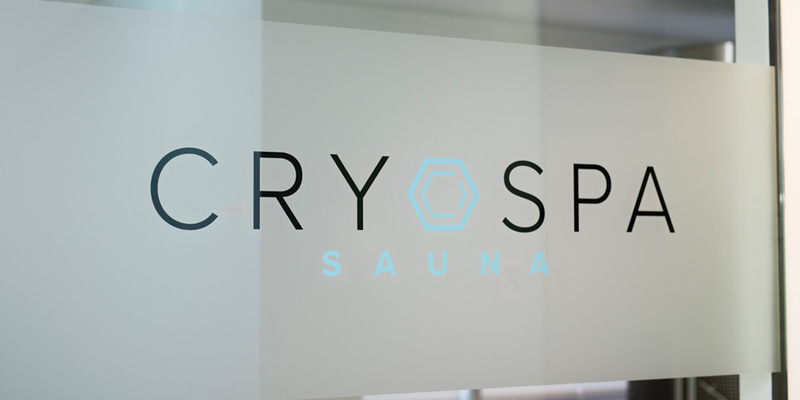 The CRYOSPA Canberra website features a totally custom design and build that is fully responsive, allowing it to display perfectly across all platforms including desktop, tablet and phone. The website also features a custom Wordpress backend, making it super simple for the client to manage their own content. The site features a custom SVG graphic on the homepage, creating a striking first impression. There’s a number of customised user experience features with hover over effect, clickable content boxes, expandable FAQ’s and sliding content. The site has clear calls to action, promoting the online booking integration with the MindBody Online software. Decoy was trusted to develop, activate and manage the marketing strategy for the CRYOSPA Canberra. We used content marketing extensively for the first 3 months to develop hype as well as to educate the market on Cryotherapy through blog and social posts, sponsored across the Facebook and Instagram platforms. 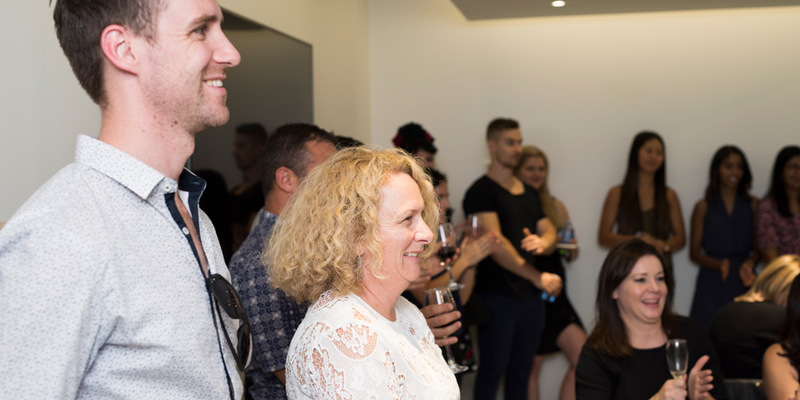 During this time we also developed a number of print materials for like minded businesses to create a referral network and activated a PR plan to engage local media representative, bloggers, health and the fitness community to attend a launch night, two days before the official opening. 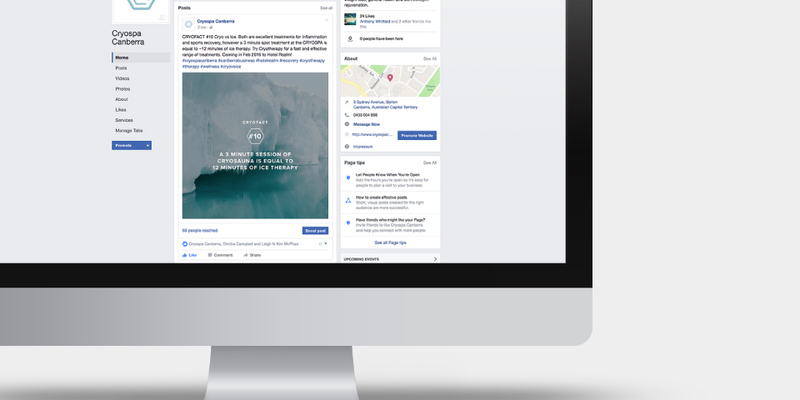 We also activated a Facebook campaign using a promotional offer - a 30% discount across the treatments for bookings made in the opening month. This aimed to provide an immediate boost of customers, creating word of mouth and building an email platform for repeat marketing.